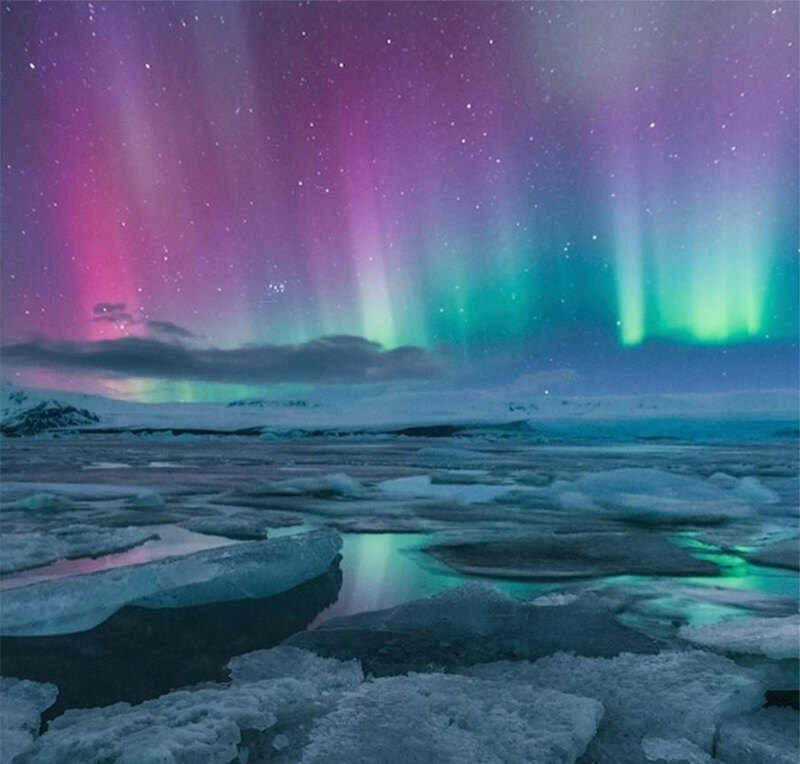 Iceland is a country of sharp contrasts and is the only place in the world where fire and ice co-exist. Marvel at Iceland’s vast landscape of pure natural beauty and dive into its rich and vibrant culture. 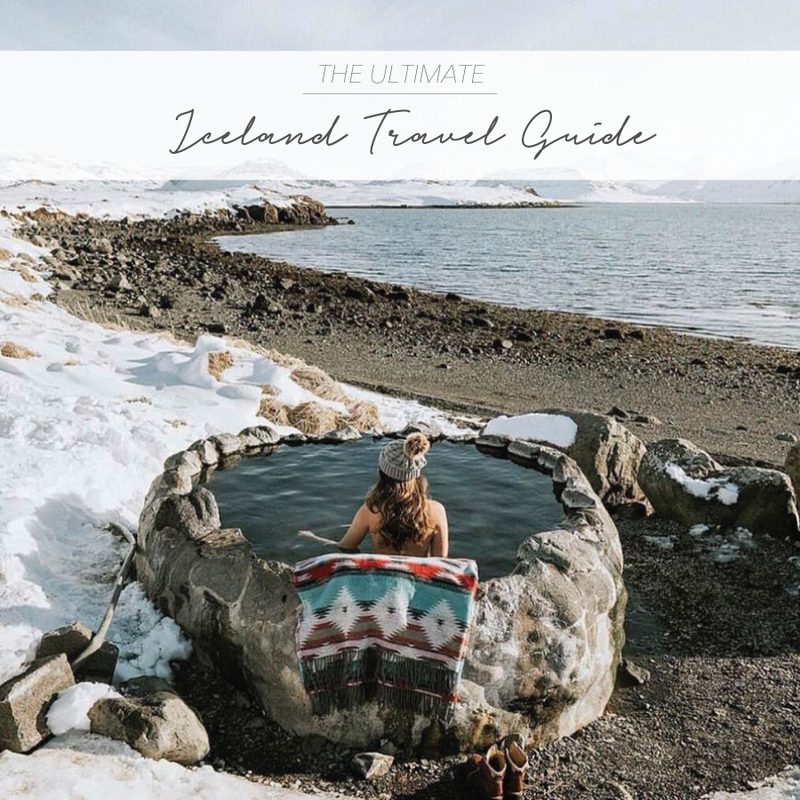 Whether you spend your time indulging in hot pools overlooking icey surroundings or hike a glacier in sub zero temperatures, Iceland will certainly remain as one of the most surreal destinations on the planet that must be experienced. The aurora display of the Northern lights is one of the most spectacular displays created by Mother Nature and should definitely be at the top of your bucket list to experience in person. If you can brave the cold to witness the Northern lights we recommend camping to see the display – sleep beneath a canopy of stars to watch the dancing lights high in the night’s sky, an unforgettable experience. TAC tip: Visit Iceland from early September to end of April when you’re most likely to see aurora activity as the nights are darkest then. The Blue Lagoon in Iceland’s town of Reykjavik has been listed as one of the 25 wonders of the world. 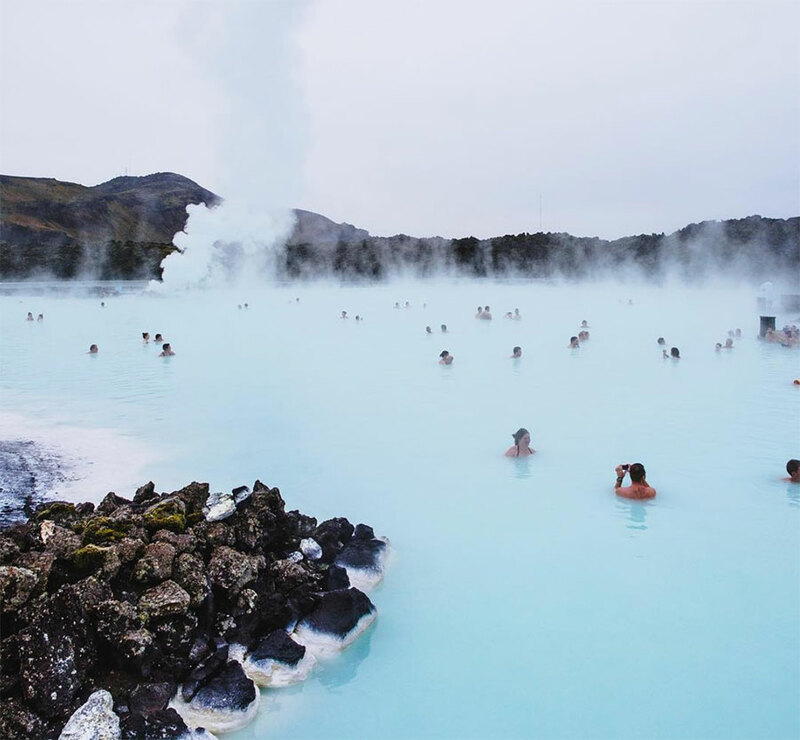 Through nature and science the Blue Lagoon has been formed with mineral-rich water from far beneath the earth, the geothermal seawater is known for positive effects on the skin through its active ingredients of minerals, silica and algae. Aside from the Blue Lagoon itself there are a number of spa amenities and treatments available such as mud masks (fully body & face), sauna & steam rooms, massage, manmade waterfall, and a relaxation area to wrap up in a robe with a hot herbal tea and a stunning view across the lagoon. 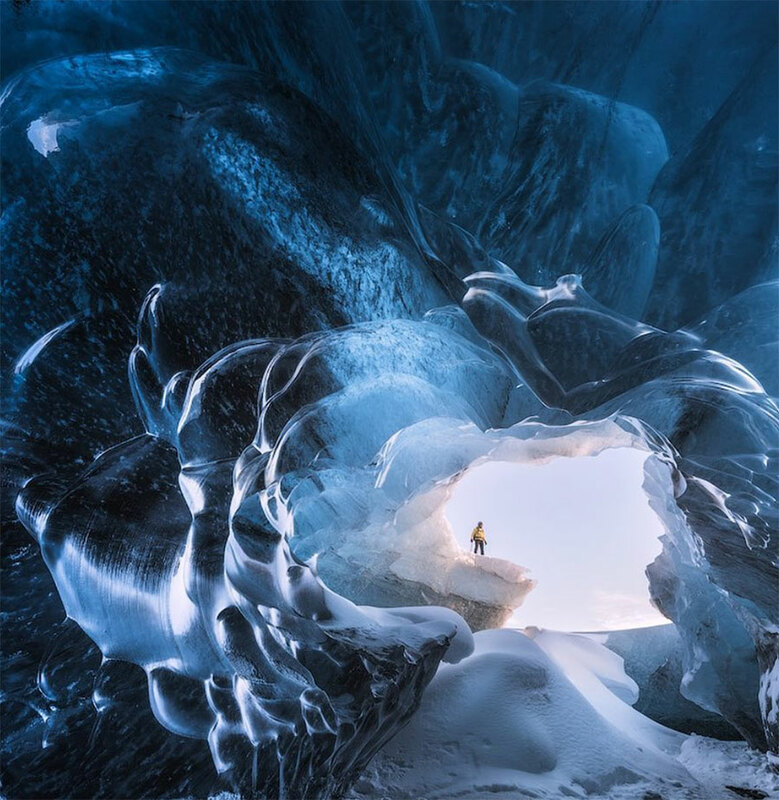 Explore the extraordinary wonder and beauty of Iceland’s unique ice caves and glaciers via glacier hiking, ice climbing, and ice cave excursions. Whether you are an experienced glacier climber or a novice you’ll be sure to find an option to suit with one of these well respected and highly skilled instructors. 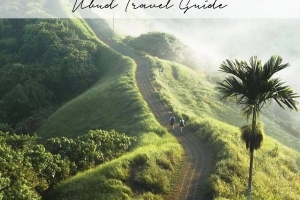 Book your expedition well in advanced as spaces are limited! An exciting full-day outdoor adventure that will expose you to the top natural attractions of the Icelandic land. 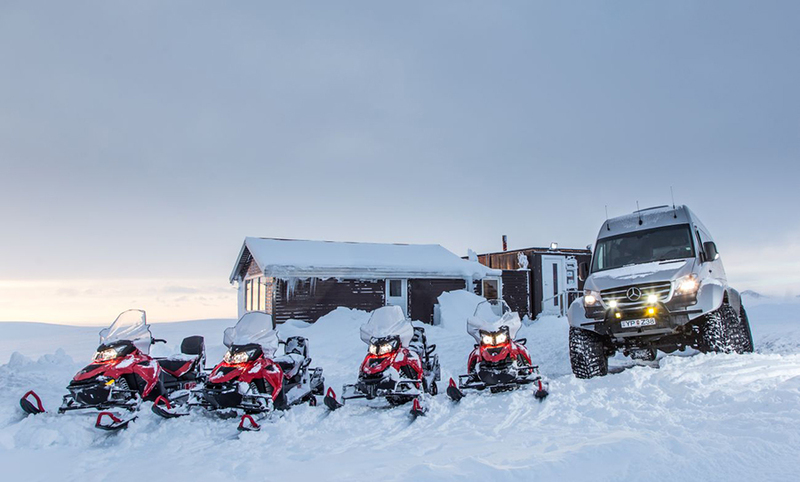 Venture through the wide rugged landscape of Iceland’s Golden Circle on a super snow jeep or snowmobile pass mountain tracks, bubbling mud pools, shooting hot spring water holes and glaciers! 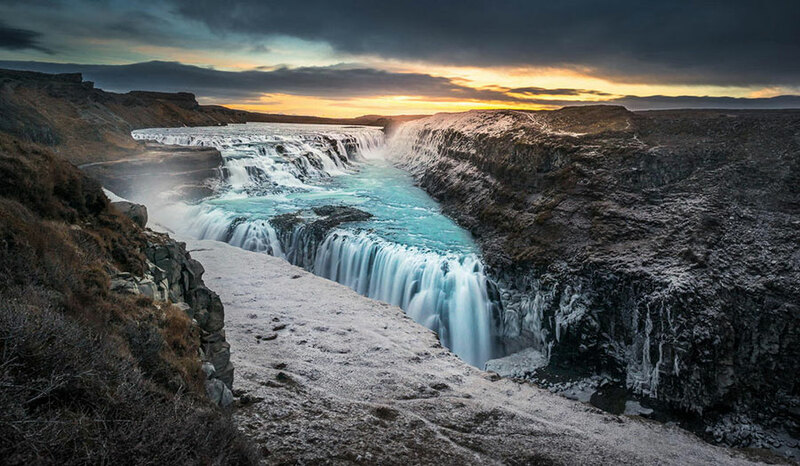 Referred to as the waterfall of the Gods, the Godafoss Waterfall is a spectacular site to see with water falling at a height of 12 meters over a width of 30 meters. 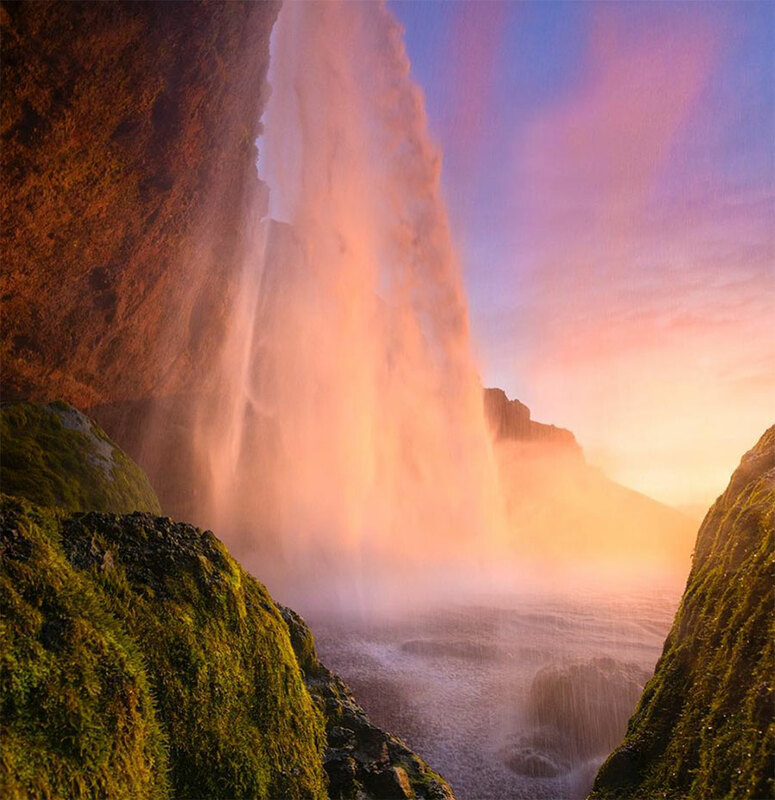 You can walk right up to the Skogafoss Waterfall to experience its greatness in close proximity. Try to visit when the sun is shining and you will see beautiful rainbows through the waterfall spray. 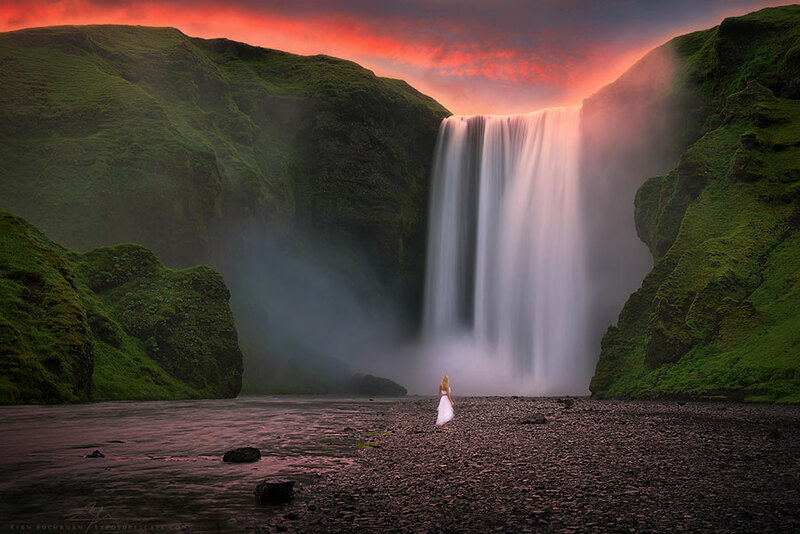 Seljalandsfoss Waterfall is located over steep cliffs making it possible for people to walk behind and stand under the cascading waters. 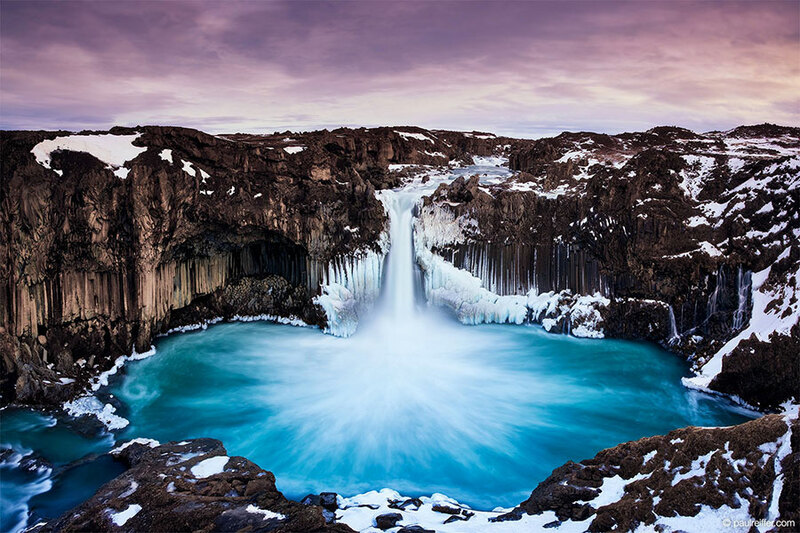 The Aldeyjarfoss Waterfall is powerfully stunning with its stark contrast of black rock against white foam and crystal blue waters and is considered one of Iceland’s photogenic gems. 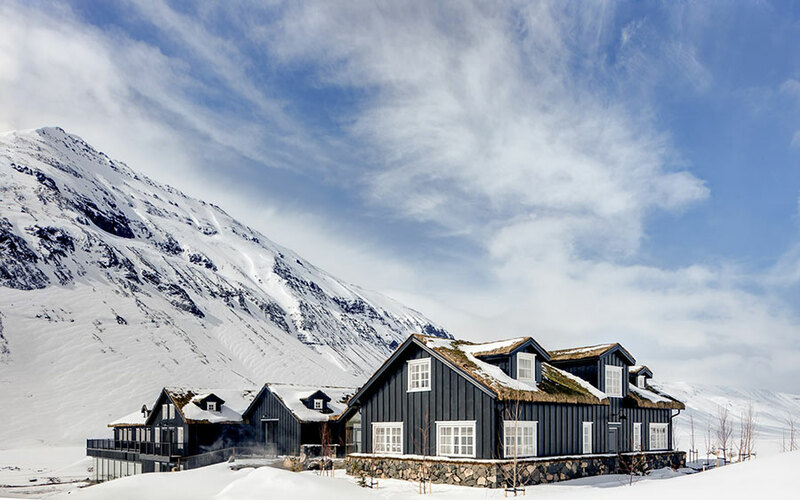 Where used to lie an old sheep farm now stands Eleven Experience’s The Deplar Farm Hotel, a luxury escape nestled in the remote Fljot valley of the magical Troll Peninsula in Northern Iceland. 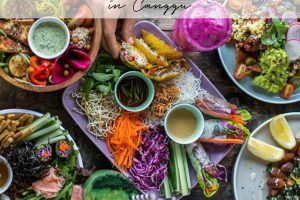 The cosy property features 13 inviting suites, a rejuvenating spa, and a restaurant serving dishes like locally-caught trout and Icelandic char. Find your call of action in one of their many wild and rugged adventures on offer such as skiing, snow trekking or horse-riding. For those less adventurous there’s the open-air pool heated by geothermal energy. The Deplar Farm Hotel is the perfect destination to rest your bones and entice your thrills on your upcoming Icelandic adventure. 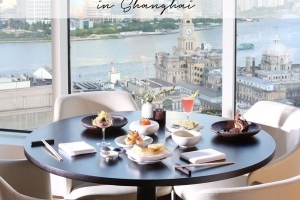 Rooms start from approx. 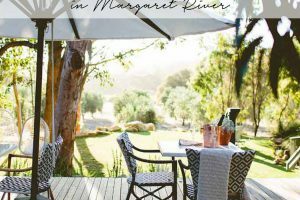 US$320 per night at The Deplar Farm Hotel.